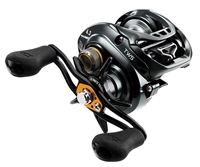 With tournament caliber performance in mind, the Daiwa Lexa Spinning Reel is loaded with cutting edge technologies. Its felt sealed waterproof body and Aluminum Alloy HardBodyz construction help extend its longevity, and its five bearing system (4BB+1RB) keeps things running smoothly for years to come. Also equipped with Daiwa’s Digigear Digital Gear System for increased power and durability, Daiwa’s Advanced Locomotive Levelwind System ensures even line lay and fewer tangles. 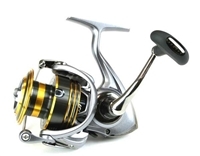 Ideal for a range of light line and finesse techniques, the Daiwa Lexa Spinning Reel does it all. Daiwa Tatula SV Baitcasting Reels are made with SV spool (wide arbor), providing the ability to cast smaller lighter baits with more accuracy and greater distance. The SV spool is made with A7075 aircraft grade aluminum material. It's aluminum machined to the thinnest point yet maintaining optimal spool integrity.